Working with the existing contours and shape of the factory pieces on a car, it is possible to provide a nice contrast/accent, while maintaining a fairly factory look the car. This is good for those who want to make your car look different from all of the other similar cars on the road, without going too extreme or marking the car look too modified. 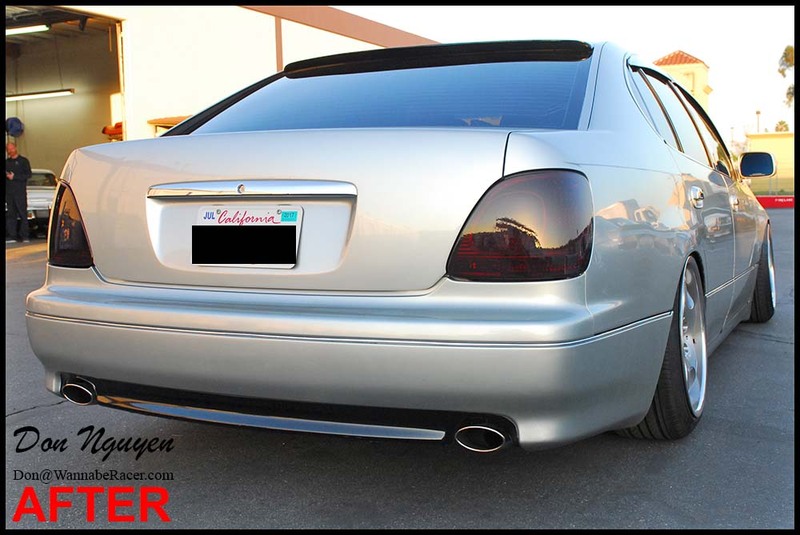 For this Lexus GS300 Sedan, I worked with the lower rear contours of the bumper and wrapped that area in a gloss black vinyl material. This created a nice subtle effect that changed up the look of the car. The owner of this car came out to my shop in Anaheim Hills / Orange County to have the vinyl work done.